Budgetary constraints scrubbed the Von Steuben Arch, but the Washington counterpart – renamed the National Memorial Arch – proceeded. The location was also revised, placing it along the route used by the arriving army at the outset of the encampment. Construction was approved in 1910 by an act of the 61st Congress. Design responsibilities were assigned to Paul Philippe Cret, a French-born Philadelphia architect who also taught at the University of Pennsylvania. 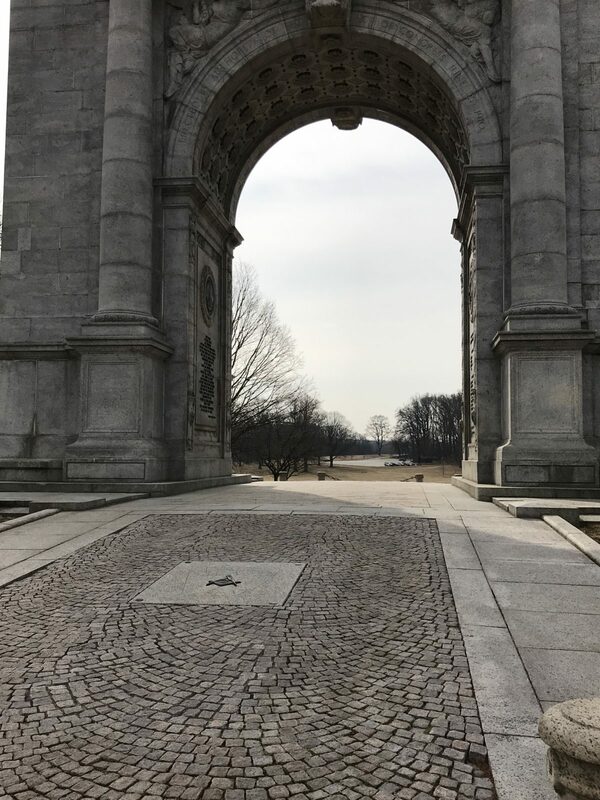 The National Memorial Arch at Valley Forge takes its distinct look from the Arch of Titus in Rome, erected in the first century A.D. That same source has inspired a number of monuments, notably the Arc de Triomphe in Paris and Standford White’s Arch in Washington Square Park, New York. When the National Memorial Arch was dedicated in June 19, 1917, patriotism in the U.S. was running strong, driven by the battles of World War I. A special train of Pullman cars brought members of Congress to Valley Forge on that day, where they mounted platforms decorated with red-white-and-blue bunting. Pennsylvania Governor Martin Brumbaugh spoke of the spirit of Valley Forge and its ongoing power to endurance in troubling times. Over the course of the following decades, the arch stood proud. 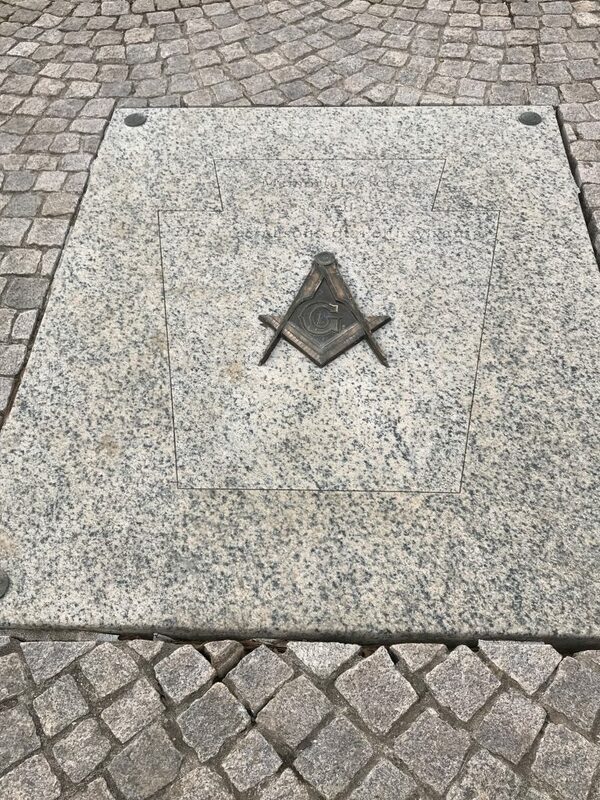 To ensure its ongoing ability to withstand the elements, a 1996-1997 restoration project was undertaken by Freemasons of Pennsylvania. The $1.5 million project provided structural repairs, adding nine tons of stabilizing steel.